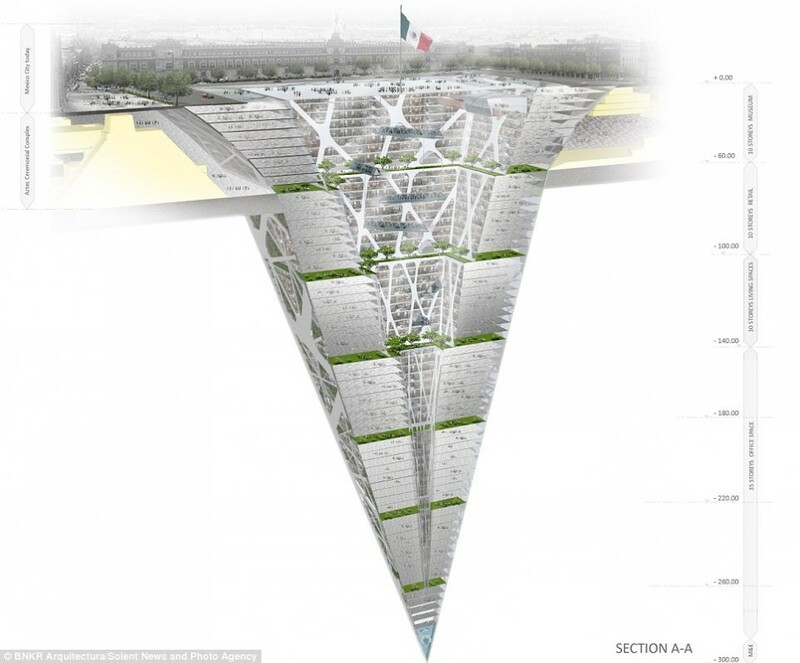 Skyscrapers are the traditional small-footprint solution for growing square footage in big cities, but what are developers to do in growing places like Mexico City where new building construction is limited to just ten stories tall? The only option, of course, is to reverse direction: build down instead of up. 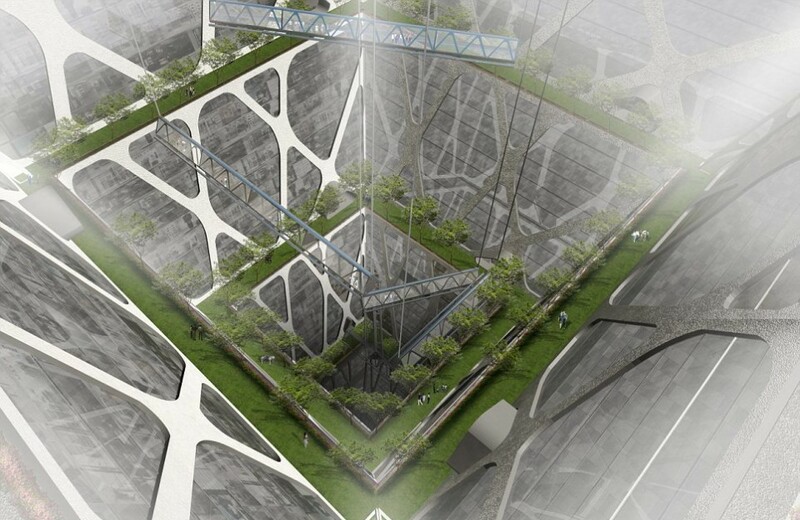 This his earth-scraper design by BKNR Arquitectura features a cental lightwell that doubles as a layered park, bringing illumination, ventilation and living greenery into the depths of the building. 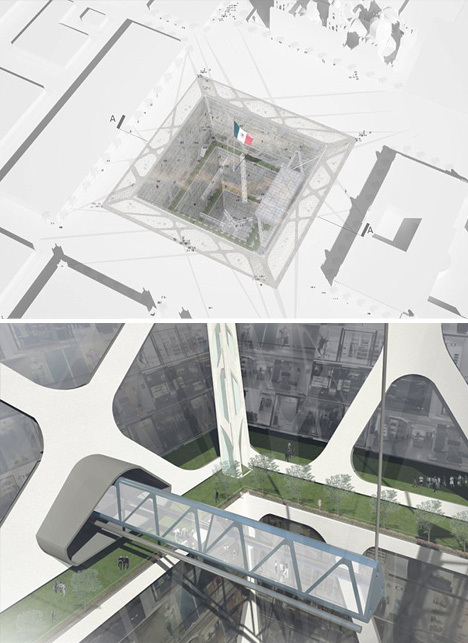 Since the ‘base’ of the structure is an open void rather than a filled volume, the existing city square is maintained – it becomes a transparent platform, effectively, adding dimension without subtracting functionality. 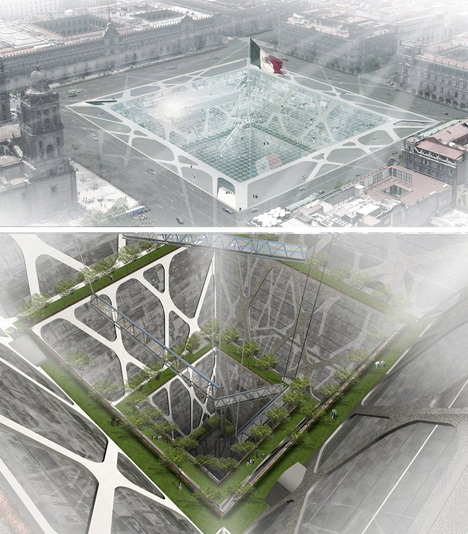 This configuration provides not only a window to the world below that you can also walk on, still also allows for public gatherings, music festivals, open exhibitions, marches and parades. 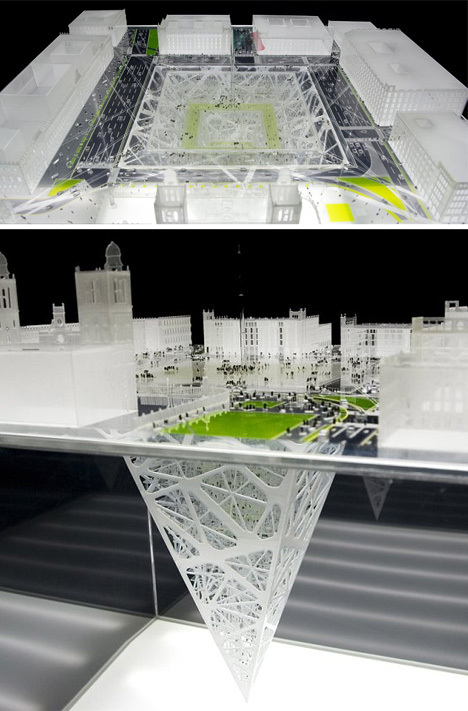 Below, the extensive building has multiple floors each of housing, shopping and office spaces, all arrayed around the exterior with views that face in rather than out – another inversion of expectations and conventions. Of course, there are some practical questions yet to be addressed, ranging from those in the realm of engineering and mechanical systems to those of simple emergency egress.